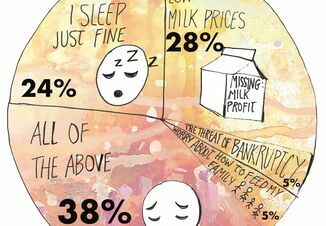 As nutritionists have fine-tuned dairy rations at every stage of life, they have learned that nutritional needs vary as animals develop. 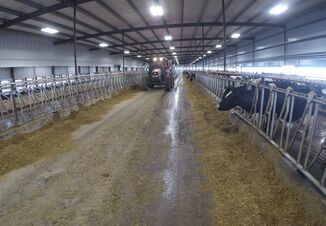 While traditional feedstuffs like corn silage and alfalfa may be excellent ration bases for pre-breeding heifers and lactating cows, they actually are too much of a good thing for older, pregnant heifers. Akins said over-conditioned heifers at calving can have more difficulty giving birth and transitioning to lactation. Armed with this knowledge, nutritionists have diluted mature heifer rations using low-energy, fiber-rich ingredients like corn stover and straw at about 10-20% of total diet dry matter. 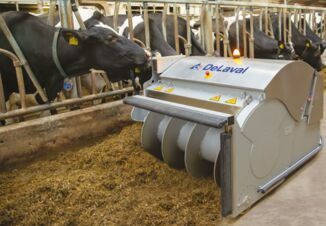 However, sorting and refusals can be a challenge of incorporating these feedstuffs. Cereal grains – With growing adoption of cover crops, cereal grain forages like wheat, rye, triticale and barley are potential forage sources for older heifers. Akins says harvesting these crops at heading stage is ideal for heifer rations. When harvesting between boot and heading stage, the resulting forage may contain protein and energy levels that are close to ideal to feed the forage as a large part of the diet, with minimal additional ingredients. Cover crops have been shown to produce 1-2 tons of dry matter per acre when harvested mid- to late May, with potential for double cropping thereafter. 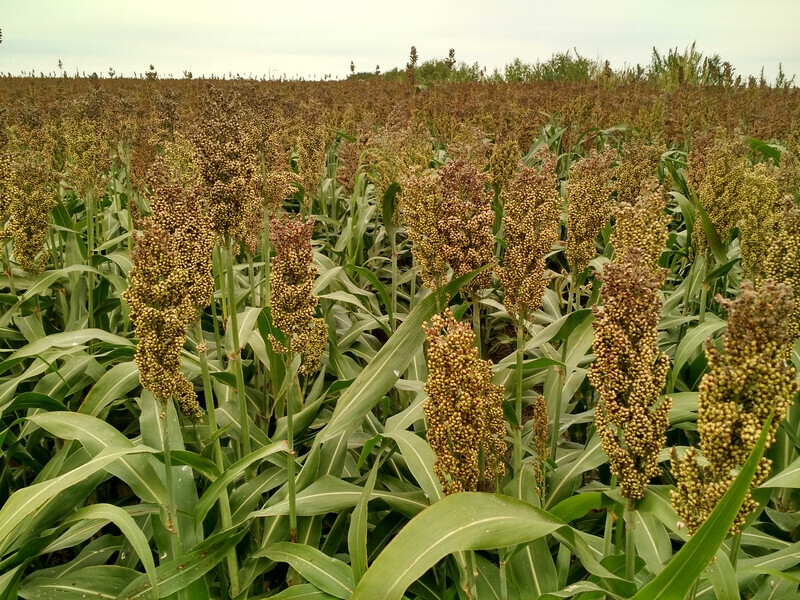 Sorghums – Forage sorghum and sorghum-sudangrass are lower-energy options to replace corn silage with potential for similar forage yields. Akins says conventional (non-BMR) and photoperiod-sensitive sorghums have ideal fiber and energy content to formulate pregnant heifer rations by blending with a moderate or high-quality haylage or a high-protein byproduct like gluten or distillers grain. There are a number of planting and harvest strategies when raising sorghums. A single harvest has proven to yield 1.5-2 times more than a 2-cut system. Expected inclusion rates in mature heifer rations could be up to 50-75%, depending on the quality of the other forage sources. Eastern gamagrass – The USDA Dairy Forage Research Center and University of Wisconsin Marshfield Agricultural Research Station have experimented with growing and feeding a novel, warm-season perennial grass called eastern gamagrass. They have found the highest yields – in the range of 3-4 tons per acre -- to be attained from a single harvest in September. Dry-matter content at cutting is 30-40%, meaning minimal wilting time is needed before harvesting. When harvested in September, NDF content in the trials has averaged about 75% of dry matter, and crude protein 5-7%. When fed in heifer rations using inclusion rates of 20-30%, gains were controlled within recommended guidelines. Silage made from eastern gamagrass also is highly palatable and readily consumed by heifers. A more detailed report of Akins’ investigation of alternative forages for heifers can be found here.